You know, I try to eat clean. That’s an obvious here. But there is just something that is still embedded deep into my roots and that is being a Southern girl. I mean, I just can’t help the fact that I was born and raised in Texas and fried foods make my heart sing! I try my best to avoid fried foods but the heart wants what the heart wants, and you just got to listen to it. Right? I was strolling through the grocery store the other day and the green tomatoes literally begged me to fry them. I just couldn’t say no! 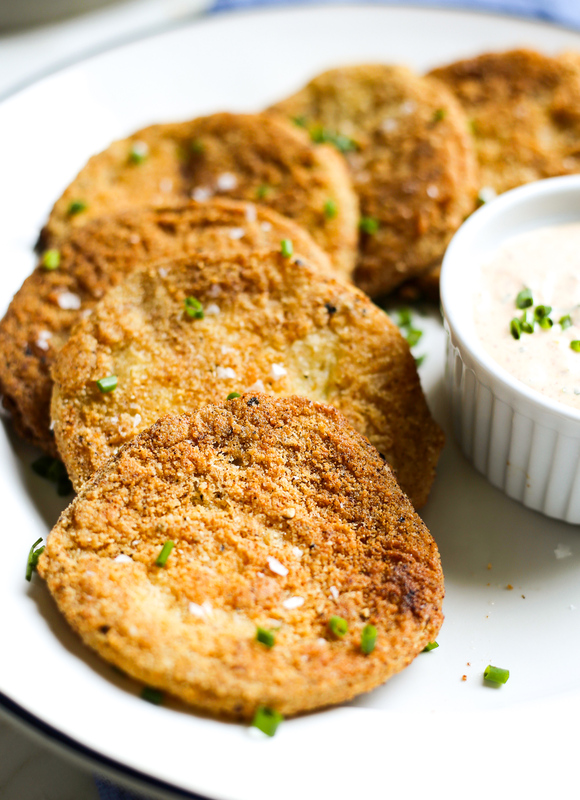 So I threw them in the cart and I left with a mission: to health-ify fried green tomatoes and make my mama proud! 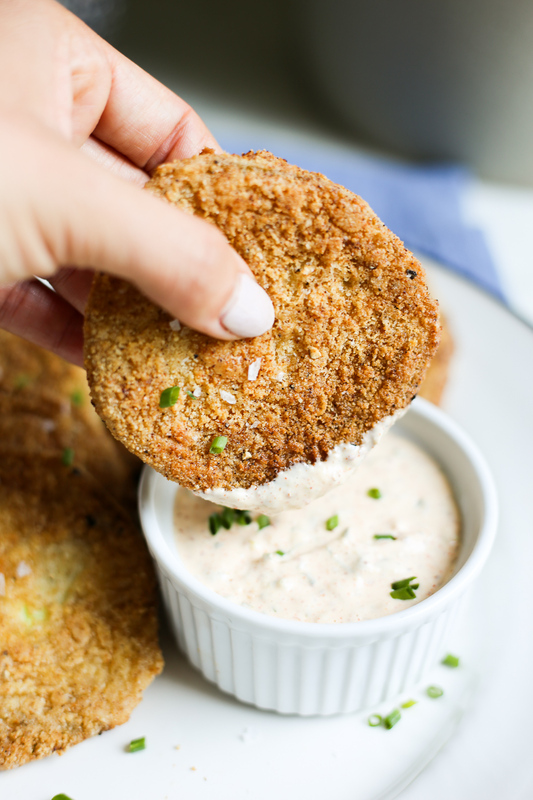 So here I am, making my momma and lots of other southern mama’s proud with these Paleo approved fried green tomatoes. Good grief, they are good! And the Remoulade sauce that I dipped them in? It’s SLAP YOUR GRANDMA GOOD. Okay, now I am just taking the southern girl thing too far…I really don’t talk like that but sometimes you gotta step into a little role play. Okay, I even made myself laugh in that post there. I hope y’all enjoyed my moment of southern fun. Enjoy! 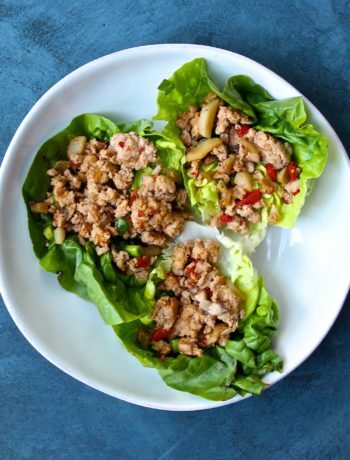 Combine all of the remoulade ingredients in a bowl and stir to combine. Cover and refrigerate until ready to serve. 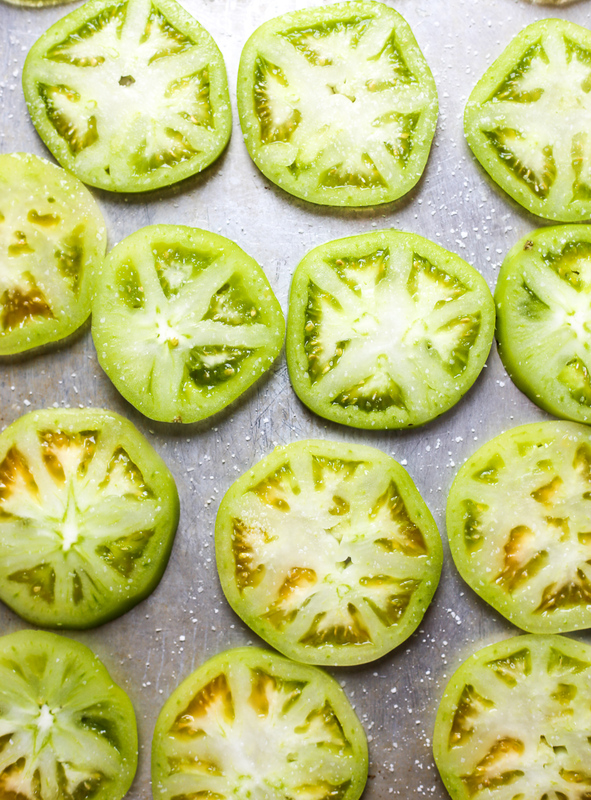 Using a mandolin or a serrated knife, slice the green tomatoes into 1/4 inch slices. Spead the sliced tomatoes on a baking sheet in a single layer and sprinkle with 1 teaspoon kosher salt all over the tops of the tomatoes and let set, at room temperature, for 10 minutes. This helps draw some of the moisture out of the tomatoes to help get the crispiest tomatoes possible. Meanwhile, in a wide bowl combine the almond flour, tapioca flour, baking soda, paprika, onion powder, garlic powder, and 1/2 teaspoon cracked black pepper. Stir to combine. In a separate bowl, crack two eggs and whisk until well beaten. 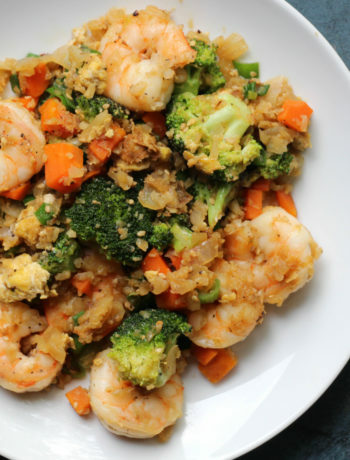 Heat 1/2 cup of coconut oil over medium heat in a dutch oven or skillet with tall sides to avoid spatter. Meanwhile, take a paper towel and pat dry all of the tomatoes, absorbing the water released from the salt. Once the tomatoes are patted dry, season them right before dredging once more with 1 teaspoon kosher salt and 1/2 teaspoon crack black pepper. Now, dip each tomato into the eggs and coat both sides, then dredge into the flour mixture and dust both sides. You don't want it caked on, but you want a good coat, so toss it around to get fully coated. As you coat each of the tomatoes, you want to fry them immediately so that the coating doesn't get wet. 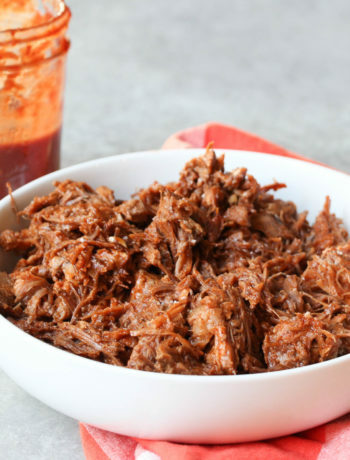 When the coconut oil is hot, fry the tomatoes in batches on each side until golden brown, about 2-3 minutes per side. When fried all over, set aside on a paper towel lined plate and continue until all of the tomatoes are done. 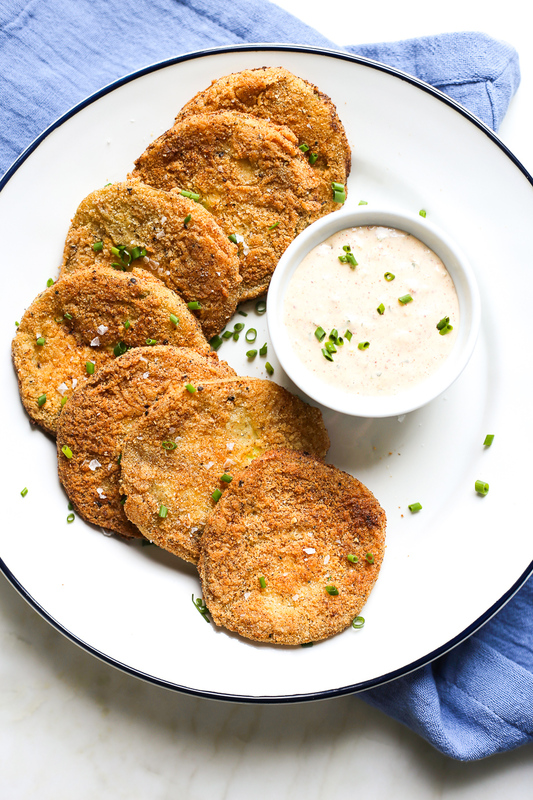 Serve with the remoulade and enjoy! 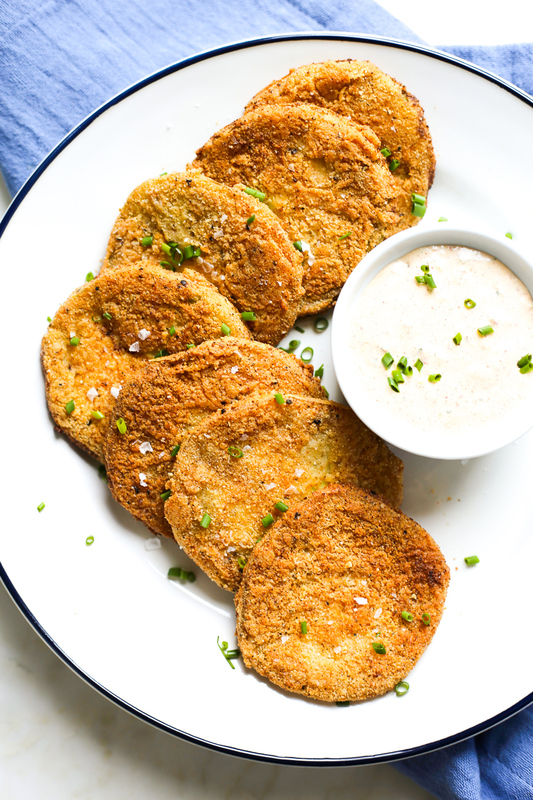 *if you choose to fry two green tomatoes, please note that you will likely have to toss the first 1/2 cup of coconut oil (the almond flour that falls off of the tomatoes fills the bottom of the skillet and burns easily) and replace it with a 1/2 cup of fresh coconut oil.